Job board advertising is a service that advertises your job vacancies across multiple job boards, without the hassle and expensive fees. Advertising agencies can purchase job credits at a much better discounted rate, simply by bulk buying. After combining the best job board sites together to create a package, they can then pass the savings on to you. Some agencies (like ourselves) will even provide you with recruitment software included, to help you manage all your applications and hire candidates. 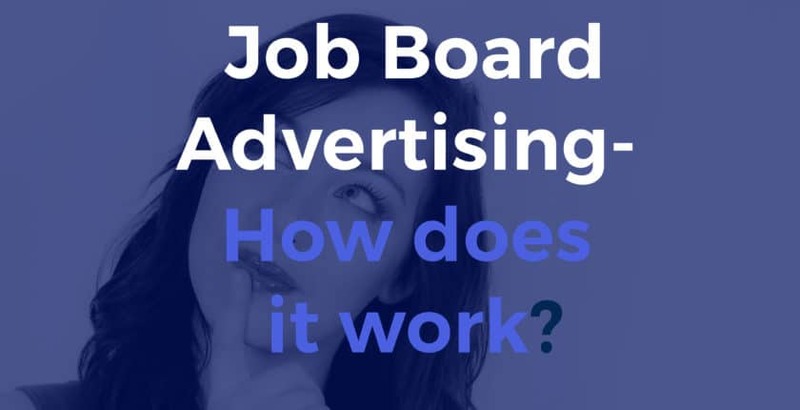 How does Job Board Advertising work? Send your job to the agency for posting. Optionally, you can have one drafted by the company that will be optimised for the job boards. Your job will then get posted across multiple leading job board sites by the agency. Your responses will either sent to either your portal login, chosen email address or URL (a job on your website). Start recruiting and hiring candidates for your role. There are no hiring fees or direct job board costs with job board advertising, you simply for the job campaign and have full control over your applications. For more information, please see Our Approach. Why is Job Board Advertising so important? Job board advertising is growing more popular with its effective approach to finding top quality candidates for your vacancies, with its biggest known quality being “fast and affordable recruitment”, changing the way a lot of companies recruit for their roles. Reach more relevant candidates. Your job will be on more job boards and found by more candidates. Up to 80% savings. Using a job advertising agency will save you money compared to going direct to the job board sites. Less time recruiting. Your job is posted by your account manager, saving you time posting to multiple sites. Recruitment software included. Manage your jobs, applications, responses and interviews all in one place. Job board advice. Get it right the first time with professional job advertising advice that can increase your application rate and find the right candidate much quicker. Job Board Advertising Packages from £95. Post a job today across multiple job boards with Post My Job.